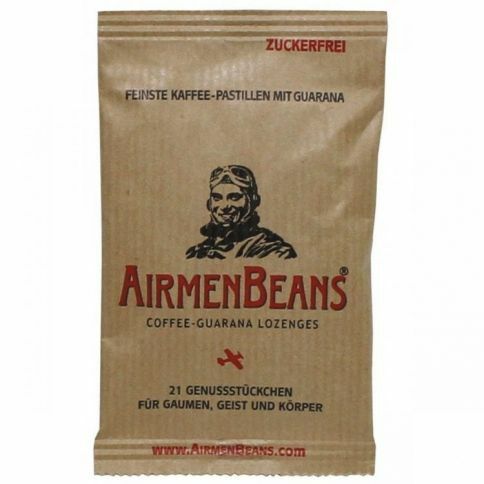 AirmenBeans pastilles are a great way to boost your day in form of caffeine and guarana. These sugar free pastilles come in a pouch of 21 pastilles and have a nice stimulating effect on mind and body. 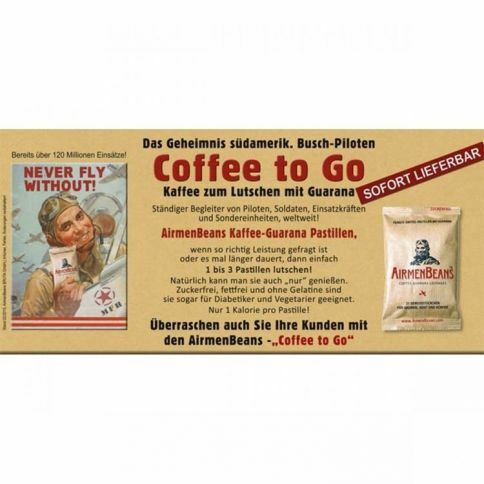 For active people who want to stay awake. For night time driving, studying, working etc.